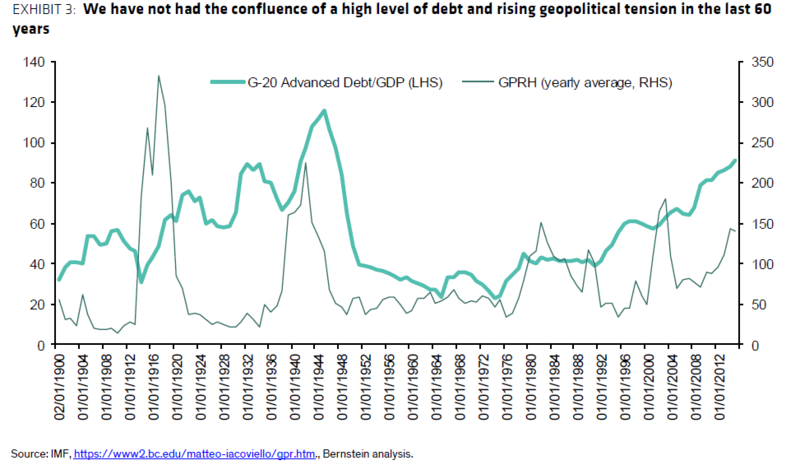 “A material shift in geopolitical risk and a near-record build up in government debt make other potential risk-free assets more questionable and also bring a temptation to create inflation, thereby further enhancing the case for gold,” Bernstein added. The current geopolitical environment is heading toward a period in which neither stocks nor bonds will work – therefore pushing investors to gold, Bernstein said. During severe downturns in the stock market, Bernstein found that gold “is the most defensive” commodity. The firm looked at four previous market downturns – 1972 to 1974, 1987, 2000 to 2002 and 2007 to 2009. Across the four scenarios, gold mining stocks closely track the commodity’s value and “at least manage to achieve a positive benchmark-relative return,” Bernstein said.